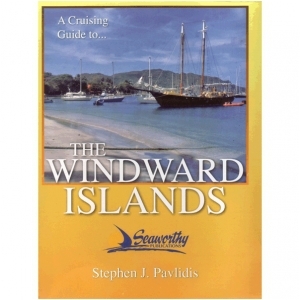 Stephen J Pavlidis Detailed piloting instructions, GPS waypoints, over 80 sketch charts, approaches and routes, anchorage's, services, dive sites, history and much more in this new guide. Many photos. Spiral bound. 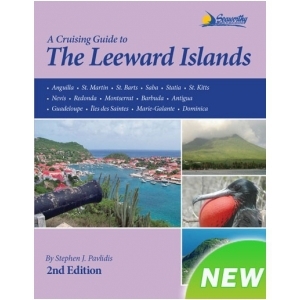 A Cruising Guide to the Leeward Islands, 2ed., is the completely updated version of Steve Pavlidis’ comprehensive guide to the Leeward Islands that stretch from the northernmost, Anguilla to the southernmost, Dominica. Now in full-color with many new charts and aerial photos of the principal harbors, it contains 294 pages of text with 85 sketch charts that have GPS-accurate data based on independent surveys personally conducted by the author. In addition it contains detailed piloting instructions, GPS waypoints, aerial photos, approaches and routes, anchorages, services, dive sites, history, index, bibliography and more. 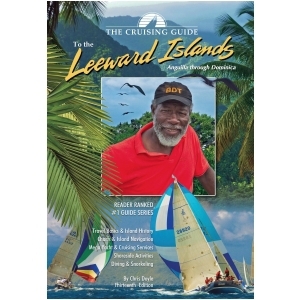 Filled with valuable information based on actual experience and local knowledge, A Cruising Guide to the Leeward Islands, 2ed. will greatly enhance your Caribbean cruising experience. Starting in the Exuma Cays, in the Bahamas over 20 years ago, Stephen J. Pavlidis began a writing career with guides to the many cruising destinations he visited. 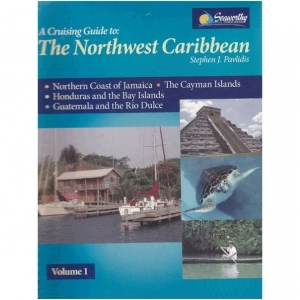 This thirteenth edition covers the islands from Anguilla to Dominica, and is an essential tool for all cruisers sailing this region. Chris Doyle, the author, spends months sailing these islands to update each edition. This book includes over a hundred up-to-date colour sketch charts, full colour aerial photographs of most anchorages, island pictures and detailed shore-side information covering services, restaurants, provisioning, travel basics and island history. Information is linked to the author's website where you can download the GPS waypoints given in the sketch charts, learn of essential updates, print town maps, and obtain links to local weather, news and businesses. 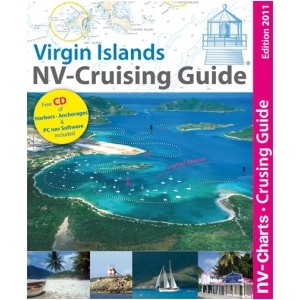 Brand new completely re-designed and updated style, with more Virgin Island photography and full color detailed anchorage charts, these guides have been indispensable companions for sailors and visitors to these islands since 1982. Includes a free newly designed 17 x 27 color planning chart, with aerial photos of some of the anchorages. Covers the Virgin Islands including all the U.S. and British Virgin Islands! Particulars on marina facilities and the amenities they offer. Water sports - where to go and where to rent equipment. Shore-side facilities, restaurants, beach bars, shops, provisions, Internet connections. Directory of goods and services after every island section now including websites and Facebook urls. Everything you will need to help make your vacation an enjoyable and memorable experience in a concise easy-to-use format. 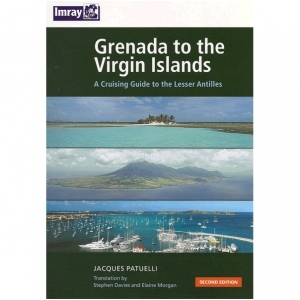 This popular book covering the Caribbean from Grenada and Barbados to the Virgin Islands is a translation from Jacques Patuelli's original French version. Each island is dealt with in detail and pilotage notes are followed by tourist information and the usual data on formalities and facilities. Fully illustrated with plans and photos, many of which are new for this second edition, the guide is packed with interesting and useful background information on the Caribbean, its history, tourism, geography and on sailing in the islands. The last section of the book, the blue pages, consists of listings of facilities, restaurants, bars, hotels and other information of interest to tourists. 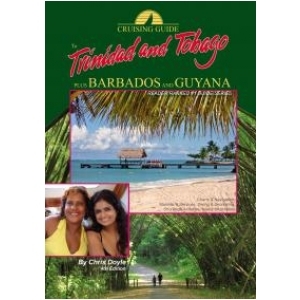 Cruising Guide to Trinidad Tobago & Barbados 3rd ed. Handy little guide to Trinidad and Tobago, which has caught the upswing in haul-out and other yachting facilities in Trinidad. Good background and general information, two-colour port plans, lots of colour photos and some advertising. Useful directory of services at the end. Full color guidebook for the British and US. 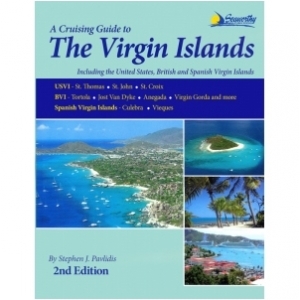 Virgin Islands, all harbors and anchorages with chart details and aerial photography plus narrative and complete navigation information.